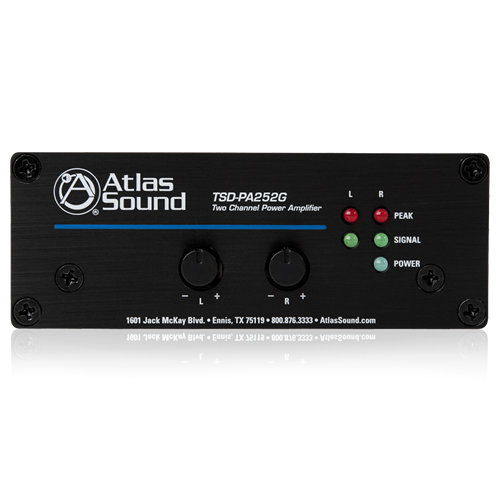 The TSD-PA252G is a reliable, cost effective 4Ω stereo amplifier well suited for higher power amplification requirements. Output is 25W per channel at 4Ω or 50W bridge mono at 8Ω. 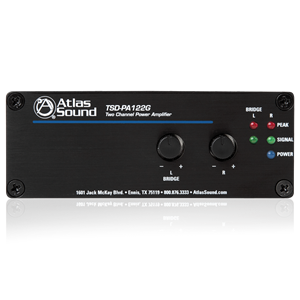 Input is via balanced stereo phoenix style and unbalanced RCA connectors. 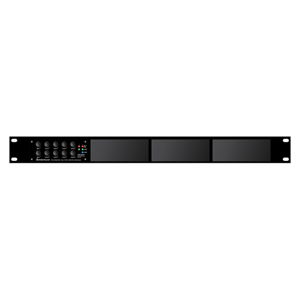 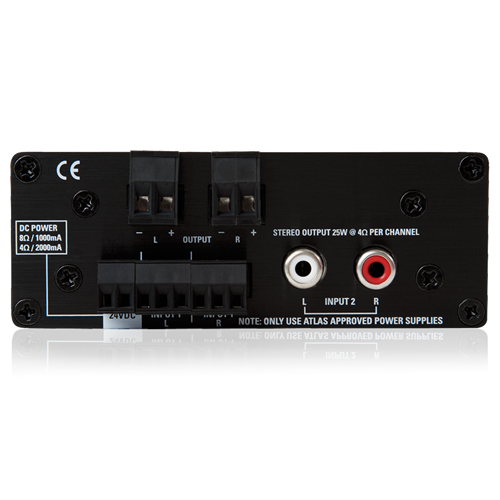 Front panel gain controls provide adjustment for both left/right or bridged outputs and include removable knobs. 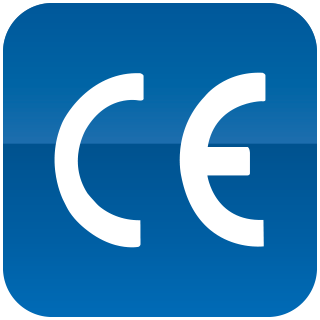 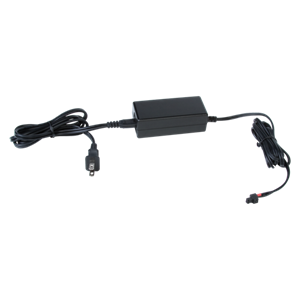 Unit requires Power Supply that is sold separately for proper function, multiple TSDs can be powered with one power supply based on current requirements. 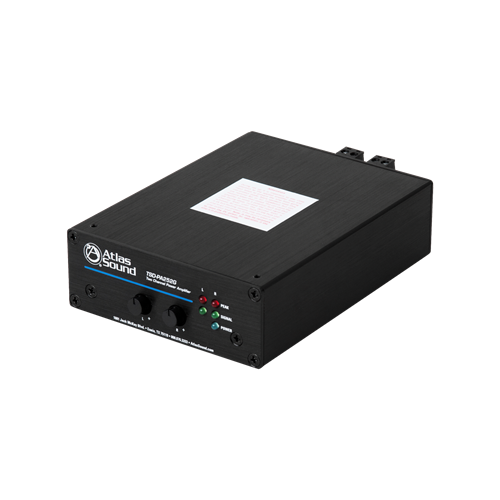 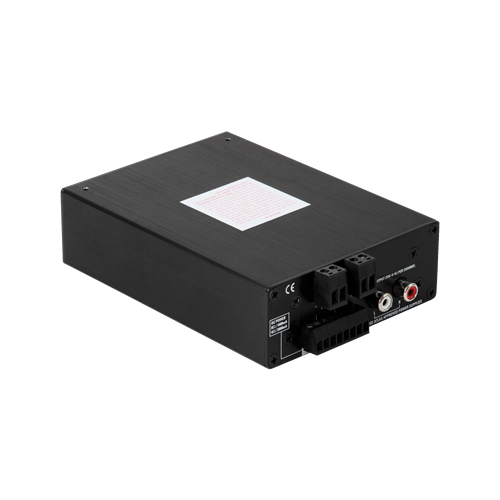 This unit has a power requirement of 1000mA when used in 8Ω mode and 2000mA in 4Ω mode so you must use the TSD-PS24V2500MA power supply. 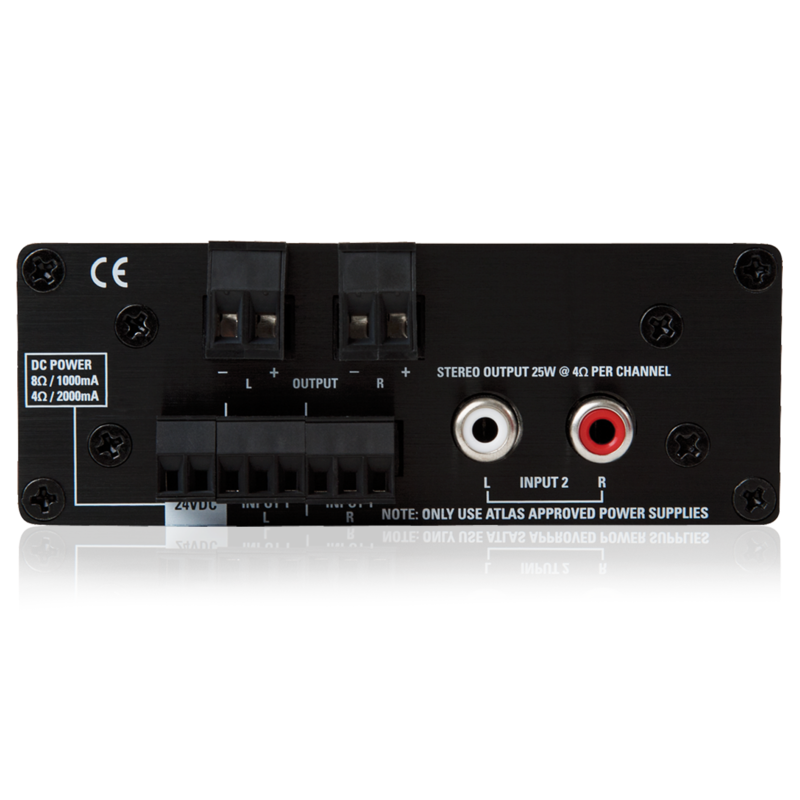 For multiple TSD applications use the TSD Power Calculator to determine the proper power supply needed.